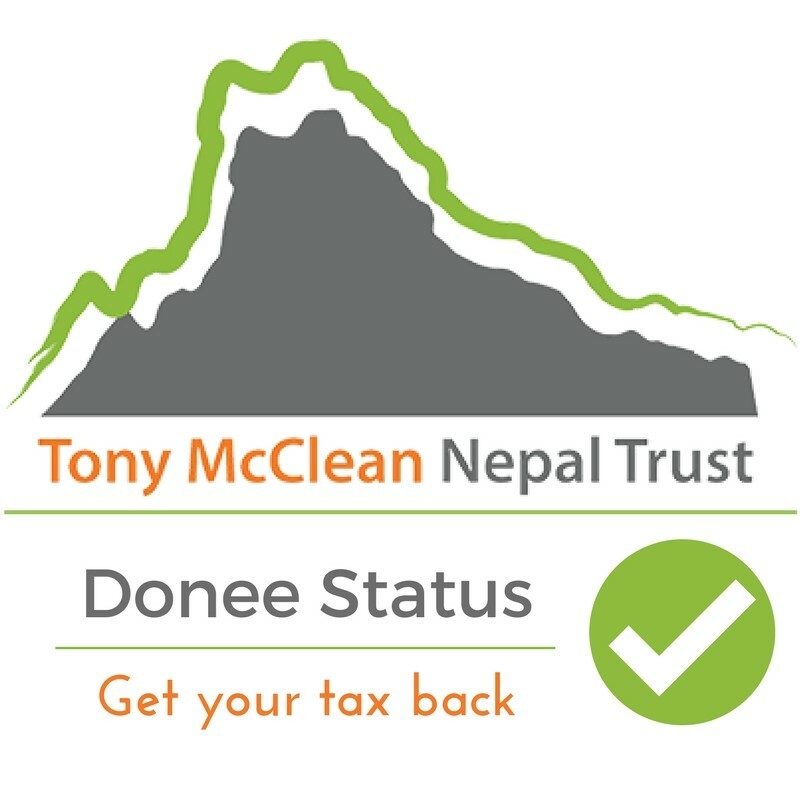 We want to thank you all of you who have supported the Tony McClean Nepal Trust in our Earthquake relief appeal and keep you and others informed about what we’re doing. Nepal has now faded from the nightly news but needless to say the devastation of the April 25th earthquake is still acute. The Nepali people we work with are in this for the long haul and we are in it for the long haul with them. Thanks to the generous donations we received in the first few weeks we were able to respond rapidly to the urgent needs of the Lamjung district. 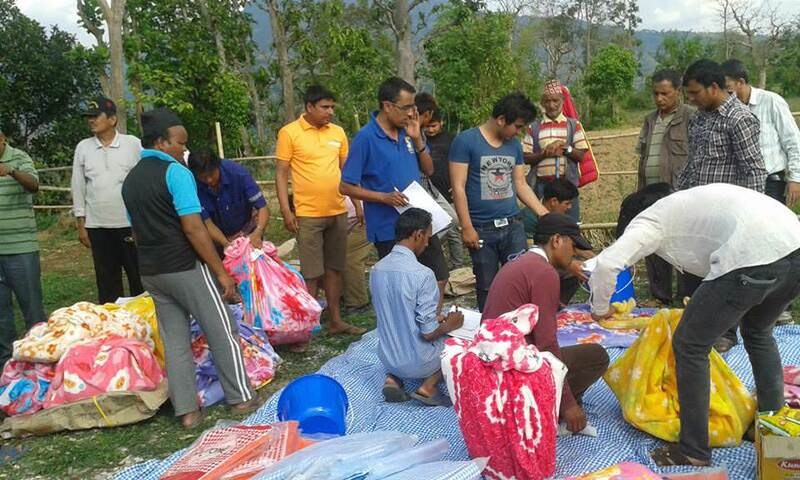 The partner organisation that we’ve worked with for the last 7 years (SAHODAR Nepal) has been a crucial part of leading the response in Lamjung so they have been excellent at assessing the urgent needs and ensuring that the supplies went to the right places. Initial emergency supplies took the form of tents, tarpaulins, blankets, emergency food supplies, and cooking equipment. SAHODAR arranged for the first supplies to arrive in the village four days after the first earthquake. 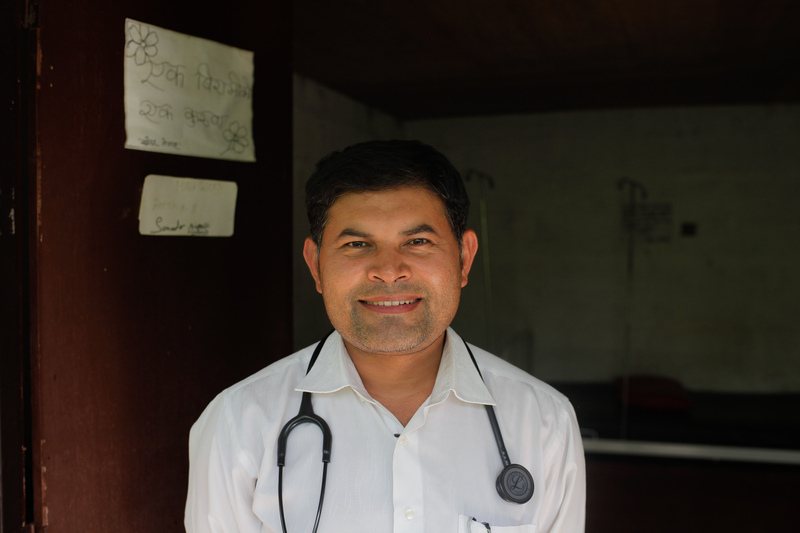 In addition, despite the fact that SAHODAR’s health centre sustained some damage, the medical staff that we help fund were on the ground and able to help care for the many injuries following the quake. All the schools in the district have sustained some damage and so were closed for a while. While the schools were closed, the teachers that we support were actively involved in delivering relief supplies to isolated communities. SAHODAR representatives made a week long trek around 15 other villages offering support and assessing future needs. As the monsoon season approached and the need for shelter became more acute we sent up more funds which again went towards emergency relief, especially the provision of temporary shelters to get families through the wet season (June-Sept). 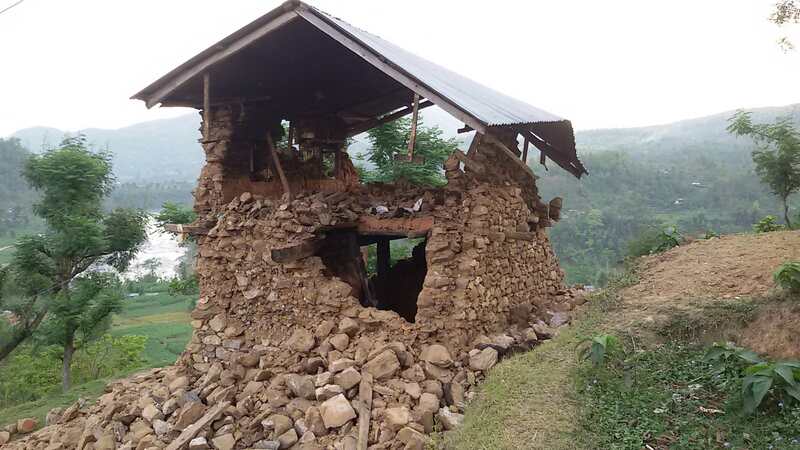 We are now turning our attention towards helping our Nepali friends rebuild their homes and livelihoods. The Nepali government is still working out what its rebuilding strategy will be and is hoping to have a definite plan in place by the end of September. We are being kept informed so that we can co-ordinate our efforts with the overall plan. The work of SAHODAR in the early period after the earthquakes, and leadership of their Programs Director Mr Hom Prasad Adhikari, has been recognised by the Regional administrative organisation. 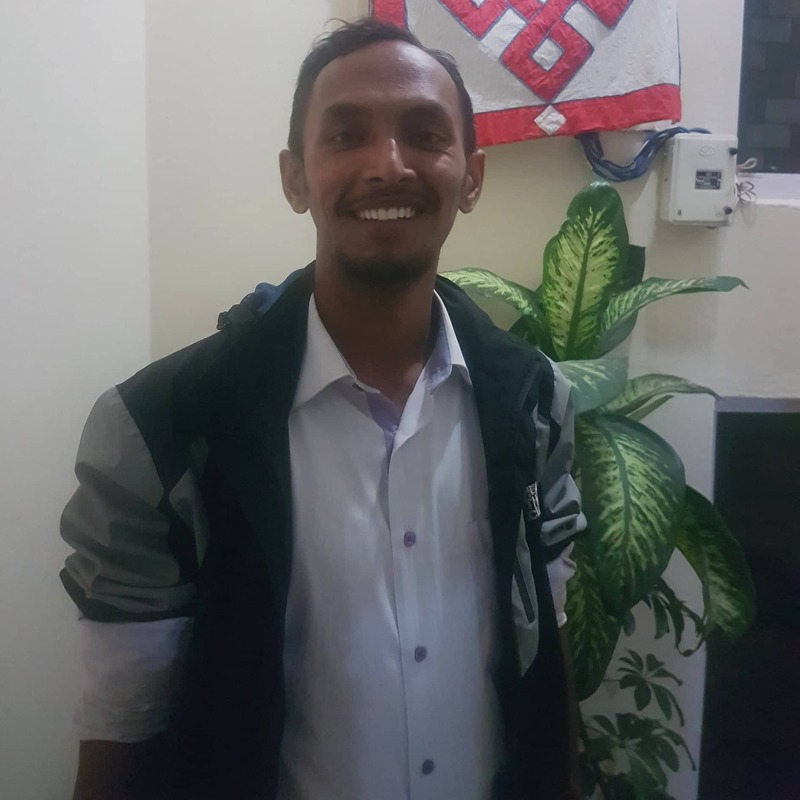 Because of this SAHODAR has been appointed to lead the reconstruction effort for up to 17 villages in Lamjung and the neighbouring Gorka district. The initial assessment was that there are 16,4500 households in these villages of which 87% are destroyed or significantly damaged. It is thought that about 10% of families will need full or partial support to rebuild their homes. Housing. Wayne Mitchell, of BSM Architects, one of our trustees has been at work designing plans for a mud brick house. This design uses cheap, locally available materials, and can be built with relative ease. Importantly, it has been designed to withstand future earthquakes. Building trips. We are organising groups of volunteers visit Nepal in October and November to help support the rebuilding process. These trips are bringing various skills to help with the rebuild as we’re able. 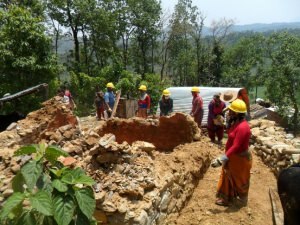 We have arranged for some local builders to work with these groups so that they can learn building designs and techniques that increase the stability of their housing. Water filters. For many years one of our trust’s main focuses has been on clean drinking water and we will continue to fund this project. We are arranging to send up a further 100 household water filters to Nepal by the end of this year. 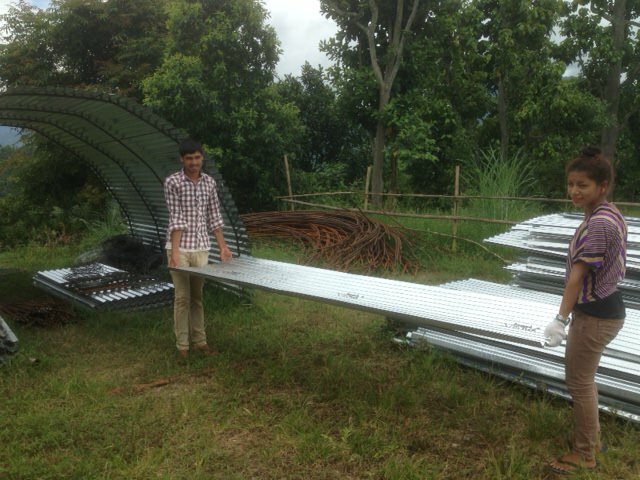 We have funded solar lighting for an orphanage in Pokhara. Our teachers who make such a vital contribution to the local schools have been instrumental in helping with the relief and rebuild effort in their communities. As mentioned above our local Program Director has been appointed the chairman of the district Rebuilding committee which is a great testament to his competence and the respect he is held in by his community. Once again we want to thank you for your support. The needs of our friends in Nepal continue to be great but through your generosity we have managed to make a great difference to the lives of thousands of people. 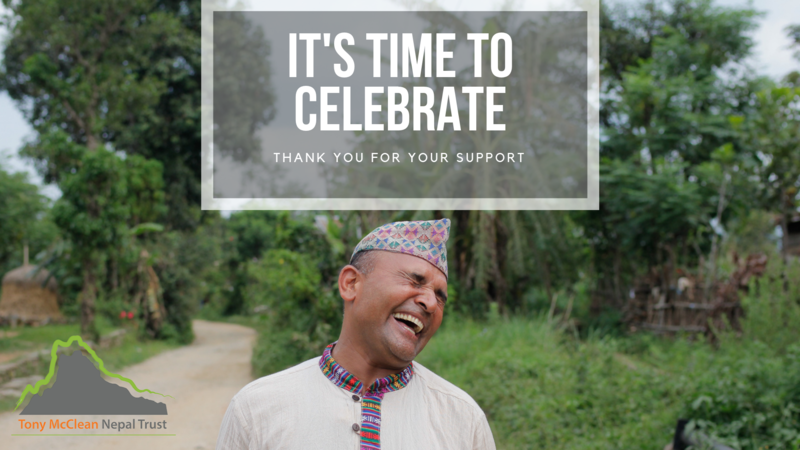 We continue to be committed to the people of Lamjung district and we will stand with them as they rebuild their villages and their lives. We will bring you further updates as the rebuild activity gets underway. Clean up and salvage work being done by a team of Nepali volunteers. This effort was co-ordinated by Sahodar our local partners. Delivery of emergency supplies to a remote village. Blankets, food, tents, and emergency cooking equipment. 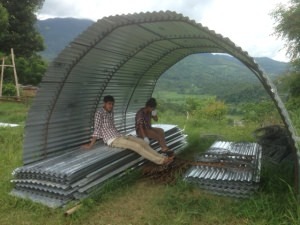 All across Nepal development agencies have adopted this barn like corrugated iron structure as a suitable temporary dwelling for people who have been left homeless by the quake. It’s cheap, easy and quick to build and will get families through the wet season until rebuilding can commence towards the end of the year. The families themselves close in the ends, sometimes using recycled materials from their original houses.